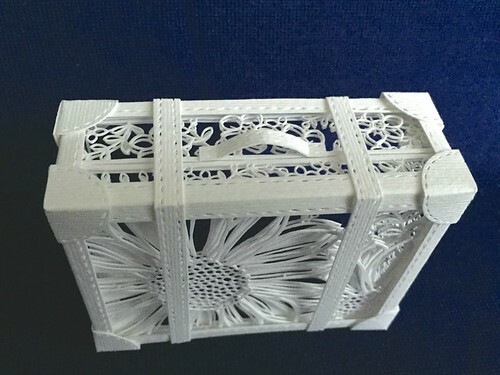 While scrolling through my Instagram feed first thing Saturday morning, this intriguing layered paper sculpture suitcase by Naho Katayama of Fukuoka, Japan stopped me in my tracks. So lovely! 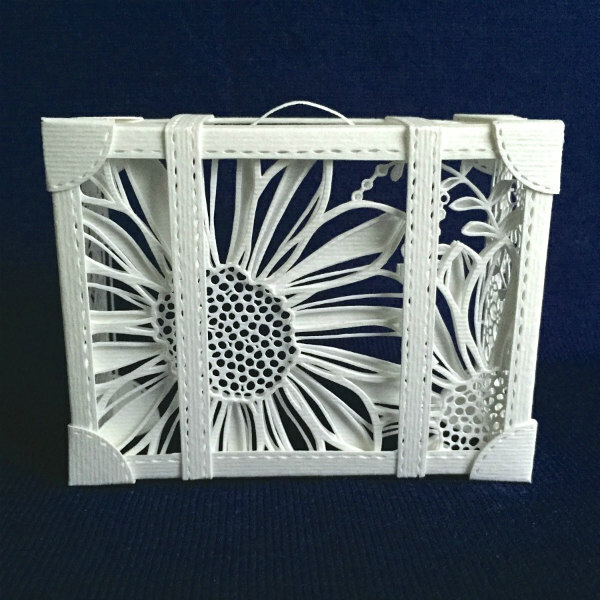 Because dimension is not something we often see in paper cutting, I clicked over to her website to learn more. 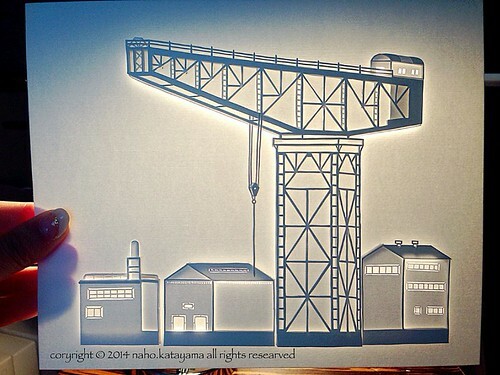 I was surprised to read that Naho has only been cutting paper professionally since 2011. While she enjoyed creating as a child, her life path did not return to art until she studied color psychology and became a color psychotherapist in 2008. 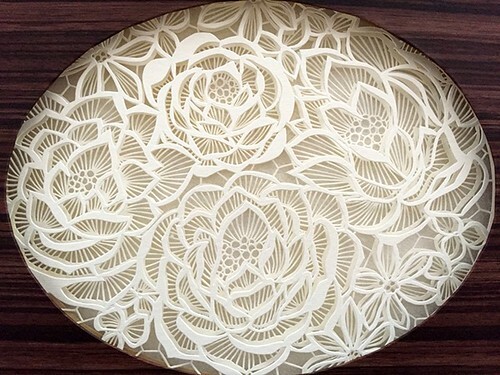 A self-taught artist, Naho developed an original technique of creating dimension via multiple layers of paper. 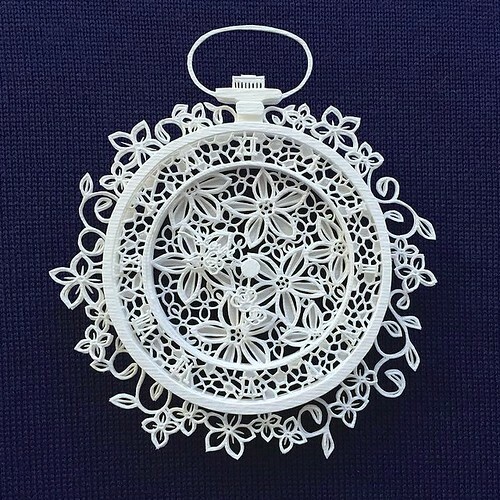 Her designs are quite small.... the clock below measures just 4 x 4.25 inches (10cm x 11cm). 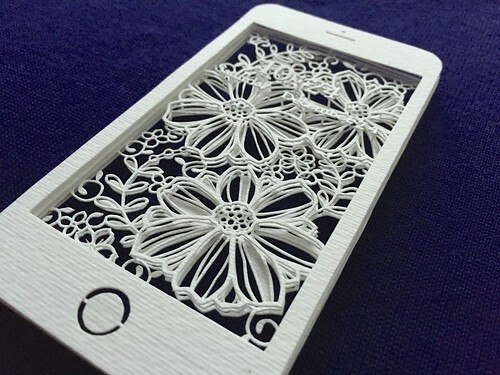 She uses a sharp craft knife, wood glue and sturdy textured paper, most often white, because it represents "purity of the human heart". Naho describes the paper as cardboard normally used for watercolor or postcards, which of course requires extra diligence to cut. 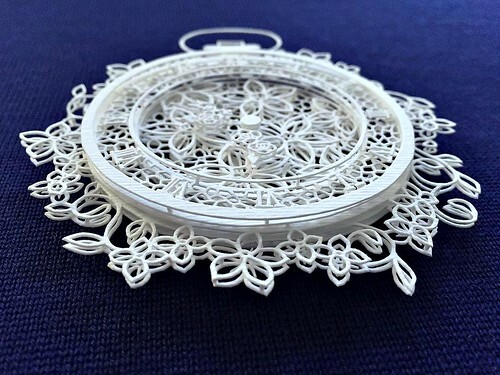 With Valentine's Day approaching, many of her intricate floral and cut text designs are especially appropriate due to a romantic or self-love theme. Can you spy the tiny hearts? 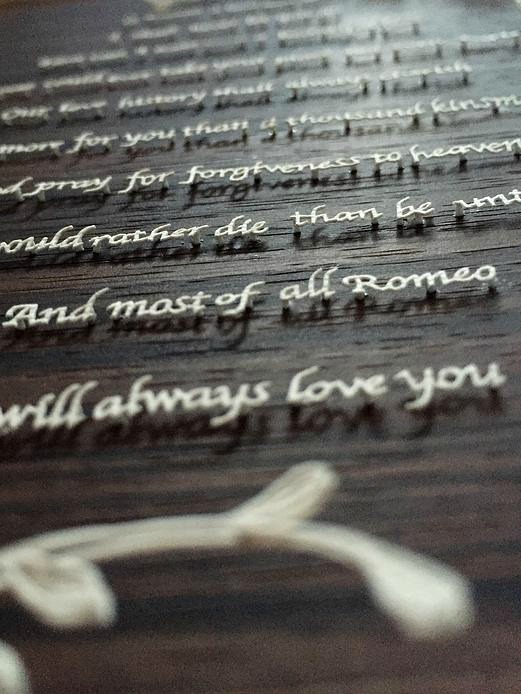 Positive Energy Flow and Romeo and Juliet were cut from pale pink paper. Not all of Naho's work features exquisite curved lines... she also shows examples of angular cuts via architectural pieces on her Behance page that were done as commissions for commercial clients. 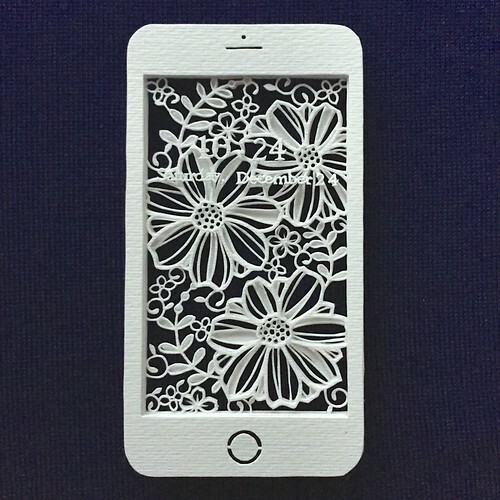 She creates an illustration before beginning the precise cutting process. Stay current with Naho Katayama's new work and upcoming second solo exhibition in April via Facebook and follow her on Instagram. By the way, my Instagram addy has changed because the name allthingspaper became available. Now you can find me here. Oh my goodness, so tiny, so exquisite, so beautiful! Truly truly incredible!! I did some paper cutting while quilling some letters last month remembering how I struggled I feel so much respect for this amazing artist. Would love to see this being done in person....simply amazing!!!! absolutely stunning! 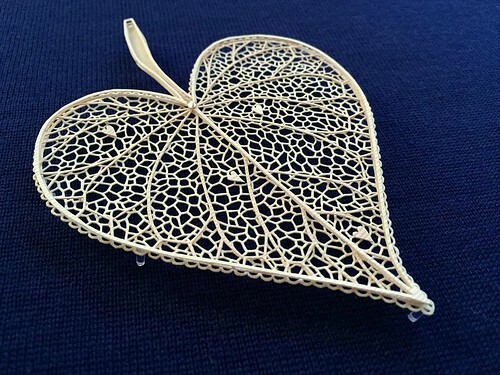 !...such attention to detail on such a small scale.....she has mastered turning simple paper in gorgeous art....incredible!!! 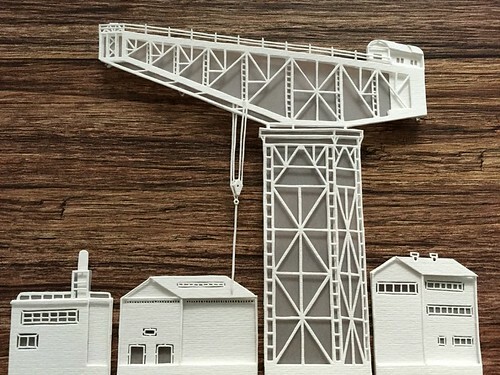 amazing paperart! loved reading all about the process. Thanks for all the enthusiastic comments, everyone!